It was 28 degrees out this morning. Soup is on. Chicken Noodle tonight. I have been reading recipes that say to squeeze a lemon over the soup before serving. Forgot to try it tonight but will make a note for the next time. This Galette was amazing. It was so light, the crust was perfect! 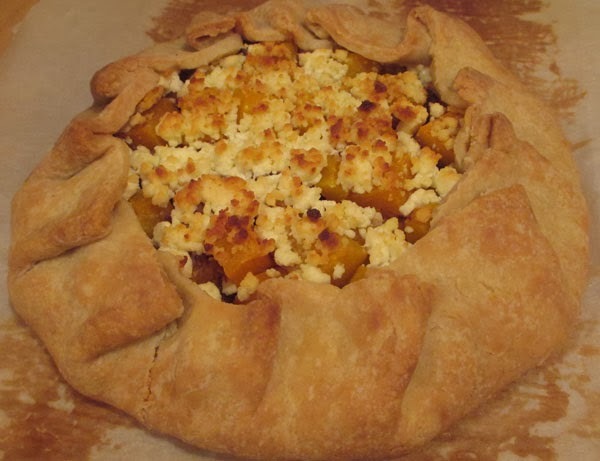 The filling was a little sweet from the apples but then the goat cheese and shallots brought it back around to savory. Click here for the recipe.